Sunny & spacious 4 bedroom, 2 full bath split level home in Glenview. Enjoy lots of living space including a lower level family room. Kitchen and baths have been updated. Huge yard with patio. Detached 2 car garage. Great location. Close to parks, shops, transportation, shopping & schools. Currently rented. Agent accompanied showings. 24 hour notice on all showings. Tenant takes care of all utilities, lawn care & snow removal. Sorry no dogs. 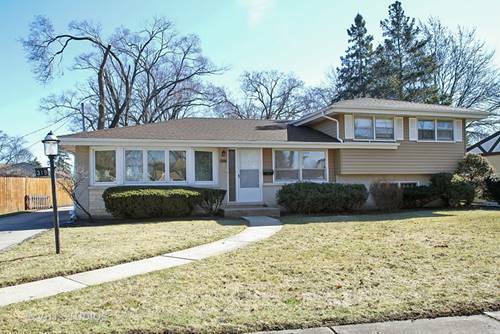 For more information about 319 Crescent, Glenview, IL 60025 contact Urban Real Estate.